I knew we would need to be prepared for some changes when we returned to Hong Kong the middle of January. After we had enjoyed the beautiful clean air of the Pacific Northwest over the Christmas break, we just weren’t prepared for how quickly the air quality would decline here. Last Saturday Debbie & I decided we’d take some time away from the busyness of work, and head down to the Hong Kong harbor – enjoy a leisurely stroll together, take in the view. Shortly after arriving there, we discovered that we could barely see the buildings on the other side of the harbor – smog was obscuring our view so much that we decided to abandon that plan and go inside to view an art and photo exhibit instead. Over supper that night at a nearby restaurant, a lady sitting at the table next to us struck up a conversation. We learned that she had been living in Xi‘an (northern China) for the past several years, and while she had come to Hong Kong for some surgery she was enjoying the ‘clean air’ of Hong Kong! If she thought Hong Kong’s air quality was good, we wondered how bad the air pollution was in Xi‘an (it is one of the more polluted cities in China). This past Monday I traveled into China, and flew into the provincial capital of Guangxi – the city of Nanning. On my ride up to the Shenzhen airport, I noticed that the air quality in that city was worse than it was in Hong Kong, but when I arrived in Nanning, ‘poor’ air quality took on a whole new meaning. In fact, the air pollution was so bad, that as our plane began its’ final descent, we were enveloped in this grey cloud of smog (without any rain), and it was not until the last 10 seconds before we landed that we broke clear of the smog. I wondered how the pilots could have seen where they were going, and as we landed, I noticed that the runway lights were lit up, even though it was only noon. 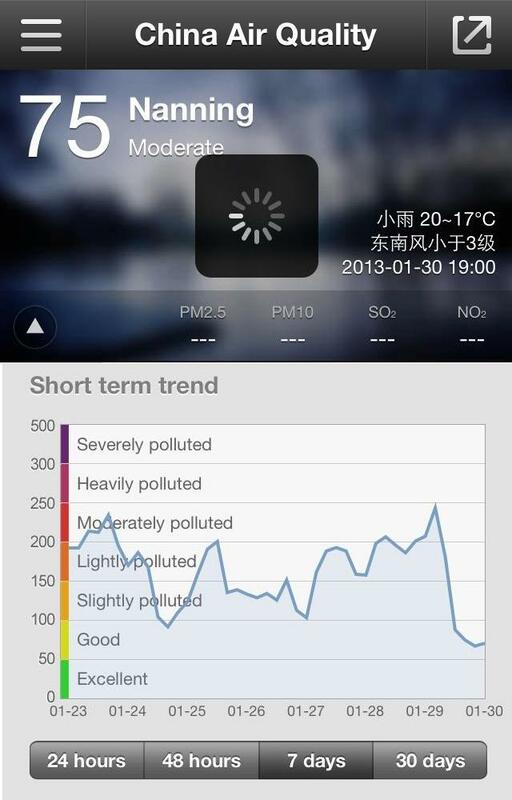 At the same time media outlets were reporting on the horrific air pollution in Beijing and surrounding areas. One report said that ‘visibility was reduced to a few hundred metres in downtown Beijing’, and the US embassy pollution monitor in Beijing showed that air quality there had reached hazardous levels for the 19th time in 25 days. Residents of Beijing and many other cities in China were warned to stay inside as smoggy weather choked Beijing and an area spanning 10 municipalities and provinces. The Chinese government ordered factories to scale back emissions, while hospitals saw spikes of more than 20 to 30 percent in patients complaining of respiratory issues. There are no quick or easy answers to this problem. There have been pledges by local and national government bodies to cut air pollution in China, but it doesn’t appear that much progress has been made. When you consider the growing number of vehicles in China, the unregulated smoke spewing factories, China’s growing urban population and the recent report that China now burns almost as much coal as the rest of the world combined, it’s obvious the China has a grave pollution problem. The World Health Organization estimates that 2 million people die every year from breathing in tiny particles present in indoor and outdoor air pollution. Compared with most cities in China, the air quality here in Hong Kong is pretty good, but compared with most cities in Canada and the USA, it’s not so good. 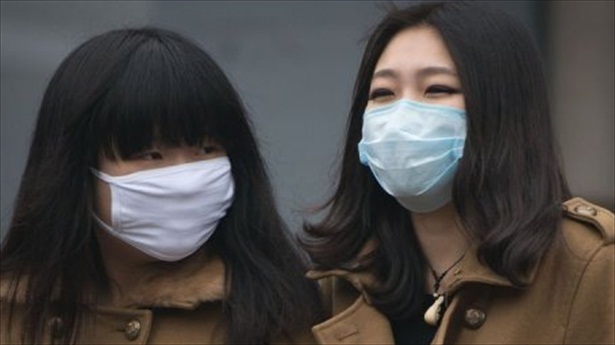 Ten years ago Hong Kong, and the rest of the world, was rocked by SARS, and for those of us here in Hong Kong, wearing a ‘mask’ when we went outside became common practice. While people in Beijing and other polluted cities across China have had to start wearing those masks for protection when they head outside these days, it hasn’t reached that dangerous level here in Hong Kong – yet. We’ll keep you posted – cough, cough.